Our high cube storage units feature extra ceiling height for maximum interior cube capacity and for holding taller items upright. This unit is suitable for all uses. Select a 40′ standard container if you don’t require the additional capacity or ceiling height of a 40′ high cube unit. If your volume does not require a 40′ unit, or that length exceeds your available site space, you can select an otherwise comparable but smaller 20′ unit. Our high cube refrigerated storage units feature greater ceiling height for maximum interior cube capacity. This unit is suitable for all uses. For smaller shipments, or if a 40′ unit exceeds your site space limitations, you can select an otherwise comparable but smaller 20′ unit. 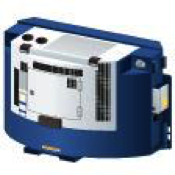 Our Clip-On Gensets are built to provide power to Reefers in transit. The Clip-On is fitted to the top corner castings at the front of the container. 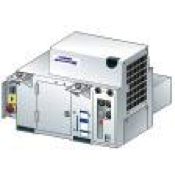 Our Undermount Gensets are used to provide power for Reefers in transit and are often used as a stationary power source. They can be fitted underneath a chassis frame using four Place Mount hangers.